Perfect melodies and stunning voices of a supper talented cast. Nothing better than a musical to start the New Year. 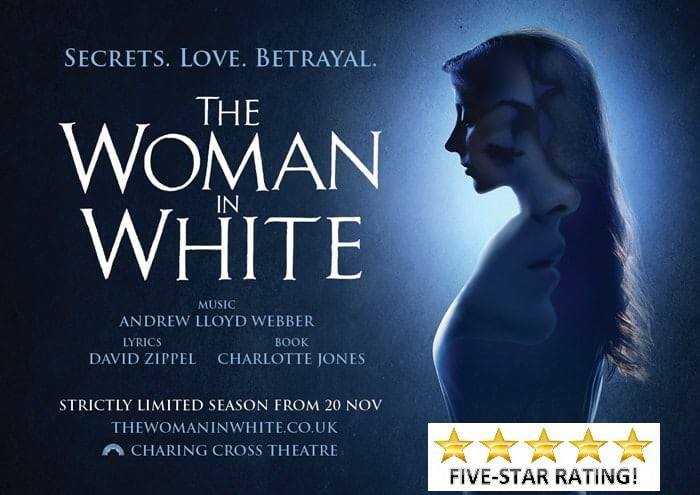 I got very good seats for this new revival of The Woman in White, from Thom Southerland and Andrew Lloyd Webber. With such a couple, you can’t go wrong. It was great to have such good seats because the acting and the singing were just superb! I would suggest you to not concentrate too much on the story, quite convoluted, and listen to the perfect melodies and stunning voices of this super talented cast. It is a dark Victorian novel and actually the musical is quite dark – literally I felt surrounded by darkness – but there were also some luminous moments like the song “You can get away with anything” that made the audience laugh and clap a lot. And the romantic “I believe my heart” is still in my mind. A musical for those who like traditional good musicals.